Great marketers care deeply about copy, obsess over visuals, and pour their hearts into content. It’s this dedication to detail that drives leads, grows funnels, and inspires customers to buy. But great marketers also know a hard truth about their work. The voice of your customers. Today, people are more informed than ever before. They have seemingly limitless options at their disposal, and unprecedented clarity into how businesses treat their customers. These changes have translated to a sharp shift in power from business to customer, and resulted in dramatically higher customer expectations. Your customers are less trusting and less patient than they've ever been. Potential buyers care less about what you have to say about yourself, and more than ever about what your customers have to say about you. No amount of time, energy, and resources poured into your marketing efforts can override the negative impact of poorly executed customer service. Providing personalized and predictive customer experiences is crucial to achieving sustainable business growth in today's customer-centric world, and marketers will play a crucial role in this shift. 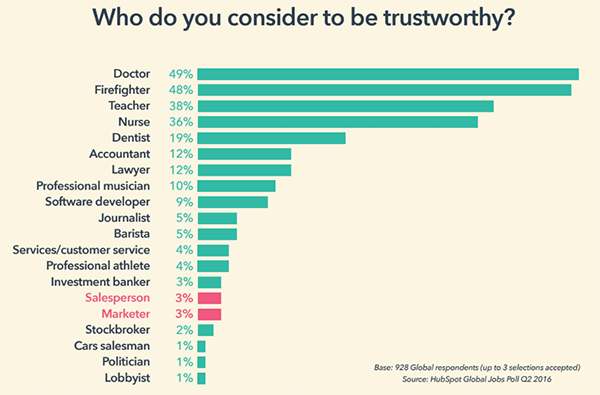 Even the best marketing is still just a starting point when it comes to building customers’ trust. Your customers have never been clearer about what they expect from your brand, and it's time to give it to them. To understand just how we got here, let's take a quick trip back in time. The year is 2008, and you're an inbound marketer at the top of her game. You blog three times a day, craft beautiful emails promoting your company's latest products, and share content relevant to your marketing personas on social media. 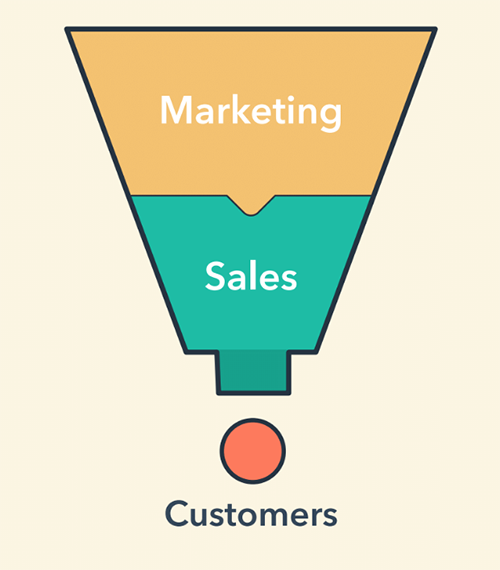 Your marketing funnel has become a well-oiled machine, attracting new visitors to your website, converting those visitors into leads with valuable content offers, and nurturing those leads with relevant emails. 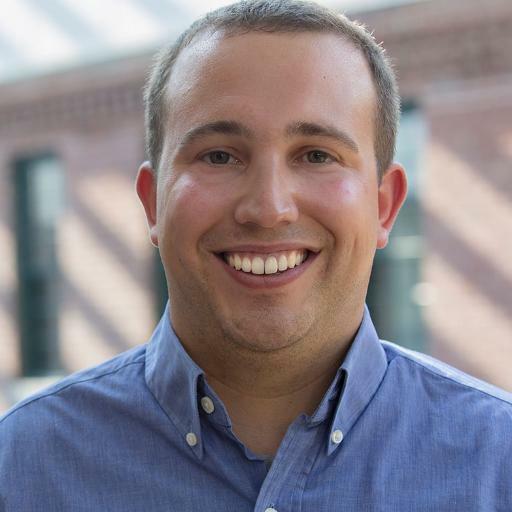 Your funnel is expanding and your CEO is happy. Nothing could possibly slow your momentum. Except one thing: everybody else starts creating content too. The whole content space gets a lot more crowded. Overwhelmed by more content than they could ever imagine, people start filtering it out in the same way they filtered ads. They rely on friends or highly personalized search and social algorithms to surface the best content for them. Great content still breaks through, but when it does it’s usually bolstered by a strong fanbase. You start to see a similar trend in email. The more email you send, the less interested your customers seem to be in hearing from you. Their inboxes are crowded, their attention is limited, and each new message you send is just adding to the noise. Even when you have something important to share with your prospects or customers, it always seems to get lost in the shuffle and forgotten. Your open rates are going down, and your unsubscribe rates are going up. Your CEO starts to have questions: Why is this happening? And more importantly, what can we do to fix it? You know there isn't an easy fix. Your prospects and customers are overwhelmed with too many messages on a daily basis, and the way you approach email needs to change. Meanwhile, you notice social media isn't the growth lever it used to be. Simply having a social media presence and regularly sharing content was enough to keep up back in 2008, but these platforms have grown increasingly complex over the years, favoring content from friends and family over those from publishers and businesses. Social media usage is up, but it's never been more of a challenge to break through. Suddenly, the foundation you grew your business on doesn't feel so solid. Shifts in technology have made it harder (and more expensive) for marketers to cut through the clutter and be heard. 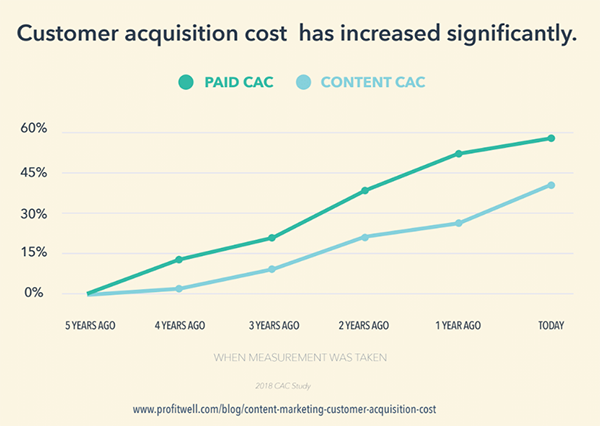 It's no surprise then that Customer Acquisition Cost (CAC) has risen by 50% over the past five years. While both paid CAC and content CAC are increasing, paid is far outpacing content as the fastest growing way to acquire new customers. Content creation is still a reliable and inexpensive strategy for acquiring new customers, but quality matters and it can no longer stand as your only acquisition method. 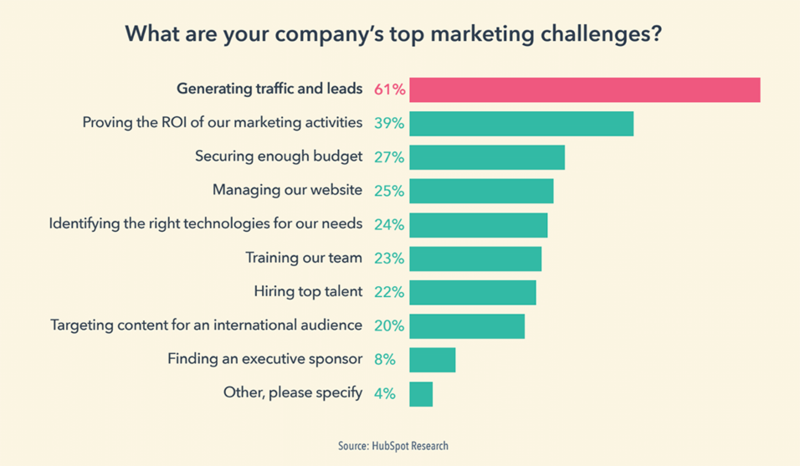 Across all of these changes, the biggest pain point marketers face remains the same: How to generate enough traffic and leads for our businesses. Happy customers are a marketer's secret weapon for growth. Changes to search, social, and other channels we've grown comfortable depending on is making it more difficult for marketers to earn and hold the attention of their target audiences. But something else is driving this change as well: customer behavior. Giants like Amazon have set a new standard for customer service, and people expect that same level of convenience and personal attention no matter where they buy. We expect overnight shipping, algorithms that can read our minds, companies who know our history with them, and conversations that take place wherever we happen to be. For companies that aren't Amazon, that's a lot to deliver on. Your customers have always been a part of the inbound methodology, but today, they should be at the heart of your marketing strategy. Businesses report that word-of-mouth is their single best source of referrals. So why aren't marketers more obsessed with their customers? For the last decade, inbound marketers have been telling stories that demonstrate value and build lasting trust. But if those stories don't feature your customers' voices, you're missing out on the biggest growth opportunity of 2018. The stories your marketing team needs to tell now start with the people who already trust you: your customers. Every marketer should be allocating significant time to speaking with customers, and truly listening to what they have to say. You'll get more leverage from case studies, customer testimonials, and video interviews than you'll ever get from a marketing-authored blog post or an email. Stop wasting the majority of your time and energy talking about your selling points, and instead amplify the best of what's already being said. No matter how good, nothing you can ever write or create will be as trusted, as motivating, or as influential to potential customers than what your current customers have to say about you. Marketers, maybe more than any team, should be thinking about how they can help turn more customers into active promoters -- and those active promoters into content creators. In 2018, marketers have nearly forgotten about life after conversion. Once a lead closes as a customer, they consider it a mission accomplished, and move on to the next thing. Whether or not that customer goes on to become a promoter is largely an afterthought. But that's not good enough on its own anymore. 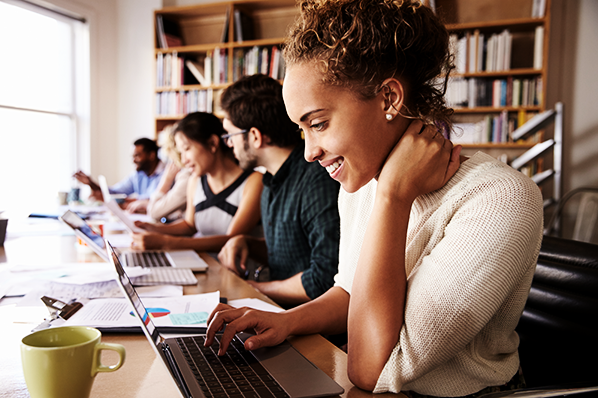 People who were once more readily delighted with content and personalization now need to see proof of happy customers before they even consider making a purchase. Every interaction your company has with a customer -- from that very first website visit to their latest interaction with a customer service representative -- shapes how they view your brand, and ultimately, what they tell the world about you. And your marketing strategy needs to reflect that. Because your job isn't to close deals, it's to open relationships. And those customer relationships are ultimately what power your business. The customer journey doesn't end after that first purchase. 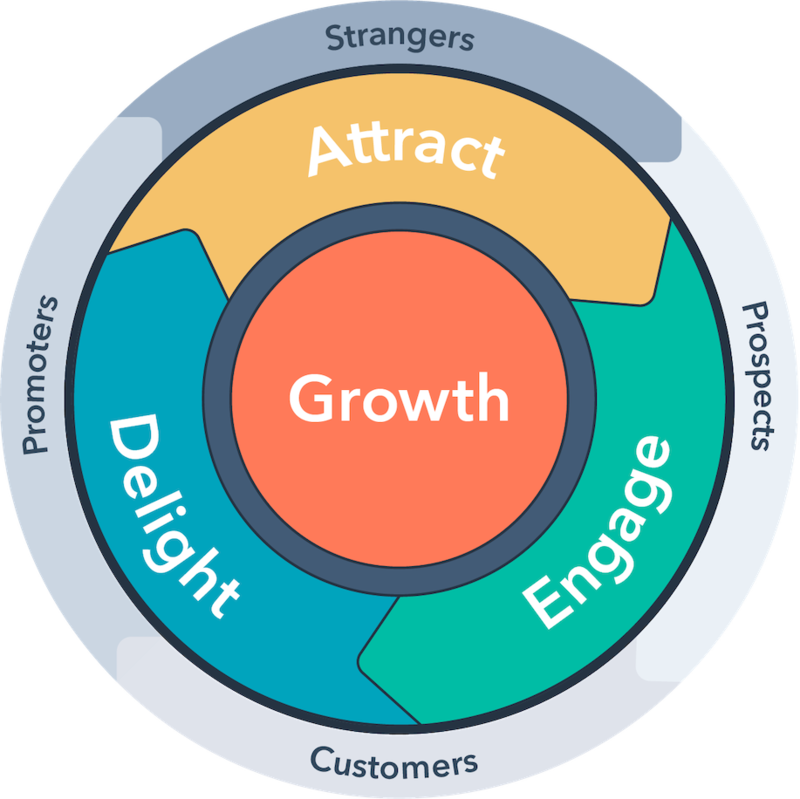 If you aren't thinking about how you can nurture your customers into promoters, you're missing out on the biggest marketing opportunity in years, and severely limiting your opportunities for growth.